Krispy Kreme Doughnuts is an American global doughnut company and coffeehouse chain based in Winston-Salem, North Carolina and founded by Vernon Rudolph in 1937. The logo of Krispy Kreme was probably custom drawn and there is no font matching its lettering. The closest font we can find is Freehand 521. For the sans serif setting the text “Doughnuts”, it is Futura Bold by Paul Renner. 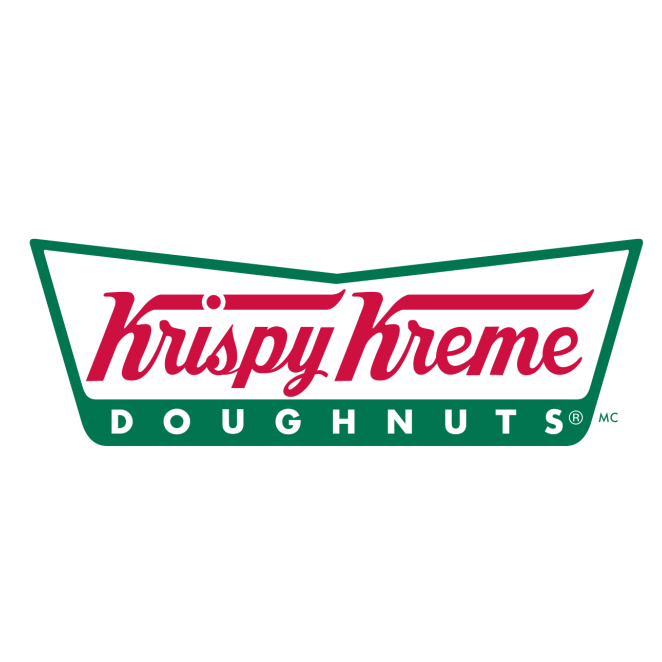 In addition to Krispy Kreme Logo, Futura typeface is also used in the following logos, movie posters or album covers etc., including: Love & Other Drugs, Now or Heaven, Sniper Elite 4, Happy Feet, The Social Network, Pure Heroine, A Little Faster, People Like Us, Fruit of the Loom, 2001 A Space Odyssey, Beautiful Creatures, The Greening of Whitney Brown, Like Someone in Love, Muscle of Love, The 1989 World Tour.